We, Times Fibrefill are the largest manufacturer of Geotextile and other Geo-synthetic products in Eastern India. We are an ISO 9001, SA 8000 and Fairtrade certified company with facilities in Kolkata, India. We have state of the art European machines for manufacturing our products. We are the only manufacturers of Geo Bags in Eastern India. We manufacture non woven polyester and polypropylene Geo Bags as per customer specification. Geo Touch® is a unique offering for the infrastructure sector by Times Fiberfill. The non woven needle punched & made from the highest quality polyester / polypropylene fibers in the market.Geo Touch® bags are customised storage options manufactured by times fiberfill. Our geobags are designed to offer a low cost solution to the problem of soil erosion, enabling most insitu materials like sand to be used as bulk fill. Ranging from 0.5 to 10 m³ they are an innovative, cost effective, quick and reliable construction method that has proven suitable for use in even the most difficult access sites. The bags can be used for a variety of purposes that include the prevention of soil erosion and other industrial uses. The bags can withstand the extreme forces of nature and requires zero maintenance.Features· Standard sizes like 1X0.7m and 2X1.5m available.· Ring spun yarn stitching done with high denier PET and PP threads.· Overlapping stiches along with edges. Geo Touch® nonwoven Geotextiles are needle punched & made from the highest quality polyester / polypropylene fibers arranged at random and bonded together into a planar structure. The filaments or fibres are first arranged into a loose web, then bonded together to form a strong fabric. There are two types of bonding processes, namely mechanical and thermal bonding. This retains its dimensional stability adding years to the life of any Road, Rail, Landfill or civil / environmental engineering project. Geo Touch® is used in subsurface drainage, separation, stabilization, erosion control and cushioning applications. They are also extensively used in waterproofing applications for buildings , power plants and factories as separation and protection layer. · Product range from 100 to 800 g/m² to guarantee an available product for every application. 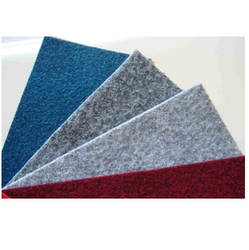 · Specialty finish and fiber specific products are available. · Superior chemical resistance in even the most aggressive environmental applications. · Capable of withstanding construction installation stresses. · Contains additives for prolonged UV resistance. · Outperforms and is more cost-effective than conventional methods. · Standard sizes are available. Overlapping stiches are done along edges. · Can withstand naturally present acids/alkalis. Geo Touch® nonwoven Geotextiles are needle punched & made from the highest quality polyester / polypropylene fibers arranged at random and bonded together into a planar structure. The filaments or fibres are first arranged into a loose web, then bonded together to form a strong fabric. Ther are two types of bonding processes, namely mechanical and thermal bonding. This retains its dimensional stability adding years to the life of any Road, Rail, Landfill or civil / environmental engineering project. Geo Touch® is used in subsurface drainage, separation, stabilization, erosion control and cushioning applications. They are also extensively used in waterproofing applications for buildings , power plants and factories as separation and protection layer. Our Geosynthetic lining systems are the widely used products for solid waste containment (such as landfill liners), mining and water containment applications.Times provides the widest selection of high-density polyethylene (HDPE) and linear low-density polyethylene (LDPE) geomembrane products available in either a black, or white upper surface, and in either a smooth or textured single or double-sided surface. All of our geomembranes are available with a conductive lower surface to allow for effective leak testing of installed geomembrane. Coupled with our range of geotextiles, we provide a complete solution for landfills, water bodies like ponds, tanks, swimming pools, mines, industrial drainage and municipal waste management.HDPE geomembrane are best for high wear conditions and LLDPE geomembrane offers extra flexibility.Features· HDPE Geomembrane can be left exposed to a extended length of time.· Commertially available in a range of resin densities and quality. · These are best for high wear conditions and flexibility. Features:· Product range from 100 to 800 g/m² to guarantee an available product for every application.· Specialty finish and fiber specific products are available.· Superior chemical resistance in even the most aggressive environmental applications.· Staple fibers needle punched together to form a sturdy fabric· Capable of withstanding construction installation stresses.· Contains additives for prolonged UV resistance.· Outperforms and is more cost-effective than conventional methods.· Standard sizes are available. Overlapping stiches are done along edges.· Can withstand naturally present acids/alkalis. 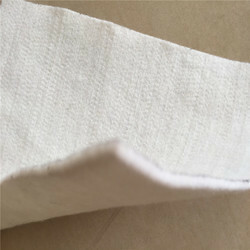 Woven Geotextile are made from weaving monofilament, multifilament, or slit film yarns. Weaving is a process by which interlocking yarn is to make Woven Geotextile. Slit film tape Woven Geotextiles are commonly used for sediment control, i.e. Slit fence, and road stabilization applications. Though the flat tape slit film yarns are quite strong and can be used for reinforcement application also. Monofilament Woven Geotextiles have better permeability, making them suitable for certain drainage applications. 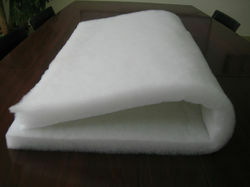 High strength Multifilament Woven Geotextiles is primarily used in reinforcement applications. We provide a wide range of woven geotextiles for the construction ,anti-erosion works, ground stabilisation , filtration and protection. We provide woven multifilament geotextiles made of UV stabilised polyester or polypropylene , these are high tenacity , high strength , performance fabrics which can be used both on and under the ground. Our geotextiles has been used by companies in every part of India in various applications. 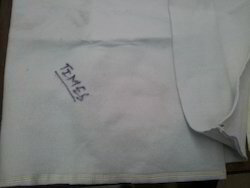 We provide a range of fabrics from 80 GSM to 1000 GSM in black and white colour. Special colour are also available on request. Our geotextiles can be used for making woven geobags as well. Geo Touch® nonwoven Geotextiles are needle punched & made from the highest quality polyester / polypropylene fibers arranged at random and bonded together into a planar structure. The filaments or fibres are first arranged into a loose web, then bonded together to form a strong fabric. There are two types of bonding processes, namely mechanical and thermal bonding. This retains its dimensional stability adding years to the life of any Road, Rail, Landfill or civil / environmental engineering project. Geo Touch® is used in subsurface drainage, separation, stabilization, erosion control and cushioning applications. 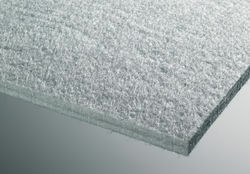 They are also extensively used in waterproofing applications for buildings , power plants and factories as separation and protection layer.Features :· Product range from 100 to 800 g/m² to guarantee an available product for every application.· Specialty finish and fiber specific products are available.· Superior chemical resistance in even the most aggressive environmental applications.· Staple fibers needle punched together to form a sturdy fabric· Capable of withstanding construction installation stresses.· Contains additives for prolonged UV resistance.· Outperforms and is more cost-effective than conventional methods.· Standard sizes are available. Overlapping stiches are done along edges.· Can withstand naturally present acids/alkalis.